Suzuki-exclusive Throttle-body Integrated Idle Speed Control (TI-ISC) aids starting and idle stability. 19-inch front and 17-inch rear radial tires are mounted to light and strong, three-spoke cast wheels. The 3-way height-adjustable windscreen was wind-tunnel tested to reduce wind noise and rider fatigue. Spacious seat combines smooth and slip-resistant surfaces, plus an embossed V-Strom logo. Lightweight resin luggage rack incorporates easy-to-grasp grab bars and a slip-resistant cargo mat. LCD readouts include odometer, dual trip meter, gear position, coolant and ambient temperature, fuel consumption, fuel gauge and clock. Switching between readings can be done with the left handlebar switch. LED indicators include a freeze warning, which, together with the air temperature display, warns of possible icy road conditions. Dual 65/55W halogen headlamps illuminate the road when your ride stretches into night. 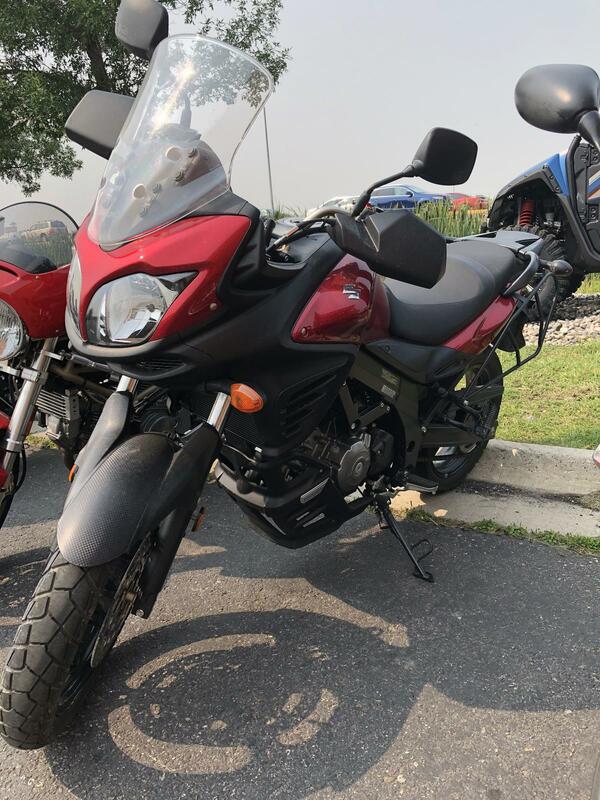 Genuine Suzuki Accessories includes aluminum side and top cases, molded plastic luggage, engine guards, low profile and touring seats, heated grips, accessory socket, hand guards and more.